Deciding on a film to watch during movie night can seem like a chore. Everyone has their own taste in film and not all content is appropriate for the kiddos. Some movies that claim to be family oriented may be suitable for older children or teens, but not elementary school-aged kids. Thankfully the following films are reliable choices for family movie night. Each has a little something for everyone, even the pickiest of kids or the grumpiest of dads. 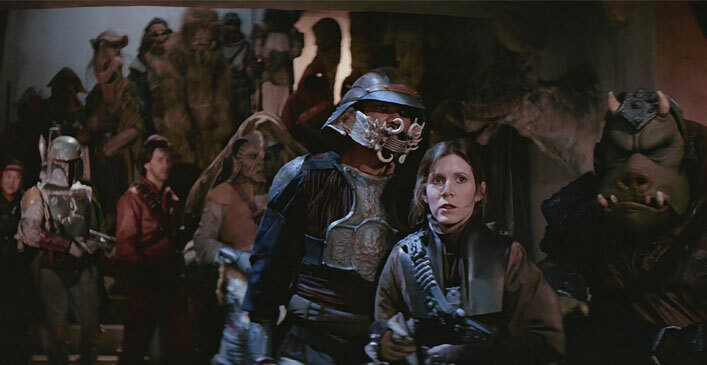 Even if no one in your family has ever seen a Star Wars film, Return of the Jedi is a fun-filled romp through space. Episode VI is the closest to a children’s movie that Star Wars ever got. Kids will love the furry Ewok characters and goofy droids R2D2 and C3PO. There are light saber battles, weird aliens, and awesome spaceships and technology. Adventure abounds for Luke Skywalker, Princess Leia, Han Solo and Chewbacca with plenty of action and storytelling elements that adults can enjoy.